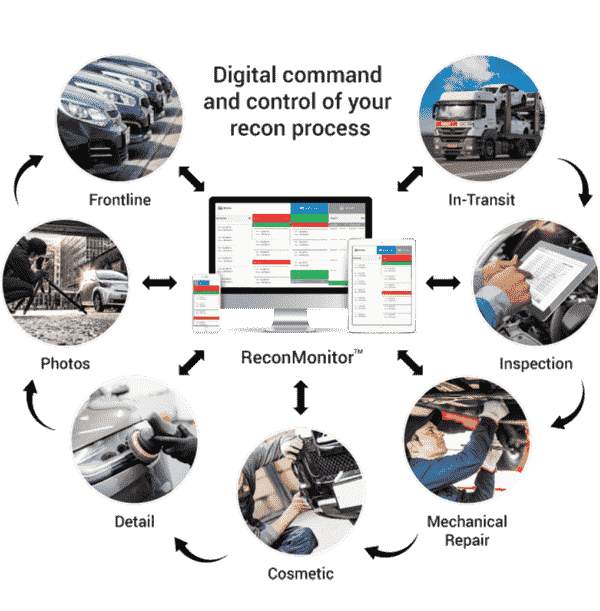 ReconMonitor establishes a digital early warning system that keeps the repairs moving forward from initial acquisition to frontline readiness. This fleet and dealership recon software can track each vendor or employee task and identify what order those tasks are being performed. 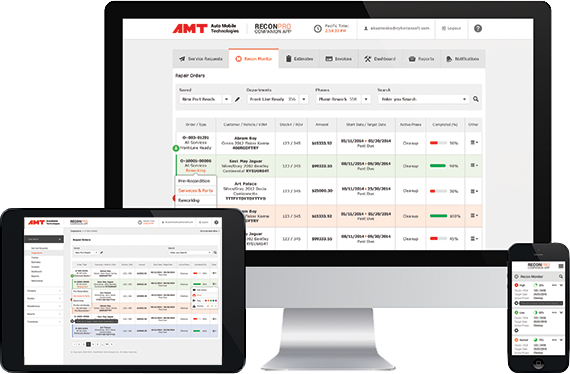 Automatic alerts will notify you if a vendor or employee gets behind schedule, and the system will send several levels of visual alerts as any job for any car misses a milestone. This helps you execute auto remarketing at maximum speed. VIN Scan and decode, Customer Record Management, attach Photo and Video Inspections to work orders at the line-item level, one-touch bulk or line-item Approvals. Manage your workflow from in-transit to the frontline to help get vehicles frontline ready in 3-5 days. InspectionNotes is included to allow multiple inspections per vehicle. Includes OEM Certified Pre-Owned Inspections, Cosmetic Inspections and Vehicle Condition Reports. The system provides access to OEM parts & numbers, mechanical labor hours, and parts ordering. Know estimated and actual cost of repairs and keep all vehicles in your targeted ROI. The system will tell you how many employees or vendors are needed to complete the vehicles in process. Pull inventory without needing to key information. You and your team know the status and stage of every vehicle in process. Business, process, and industry-specific forms creation is part of the package. Create specific forms for your business in digital format, with print and editing capabilities. Includes dynamic forms automated to trigger additional steps and processes. Up-to-date recall information delivered against any vehicle in process. Every tech and vendor has a real-time worklog to keep them progressing forward. The system manages all of your vendors and their workloads, and shows you how much to pay each vendor per repair.